Removing Mystery from Myeloma: The Truth About Transplant – Medical Learning Institute, Inc.
Join Alicia and Shona from The Leukemia and Lymphoma Society as they speak with Dr. Racquel Innis-Shelton, Associate Professor of Medicine and Director of the University of Alabama Multiple Myeloma Clinic at the University of Alabama. 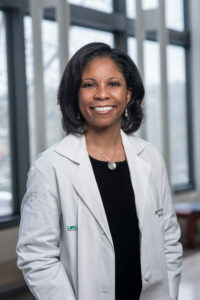 On this episode, Dr. Innis-Shelton describes the process for a bone marrow transplant, the difference between autologous and allogeneic transplant, how a patient is screened for transplant, post-transplant symptoms, and adjustments that may be made to a person’s treatment plan after transplant. Dr. Shelton shares news about chimeric antigen receptor T-cell, known as CAR T-cell therapy and its use for myeloma patients. She also answers questions submitted via LLS Community. Dr. Shelton stresses the importance and role of the healthcare team to develop trust with their patients in order to provide the best care and engage their patients from all backgrounds and cultures.